Our next concert will take place on May 11. See the poster below for details.
. Reserved tickets will be held at the door for you. 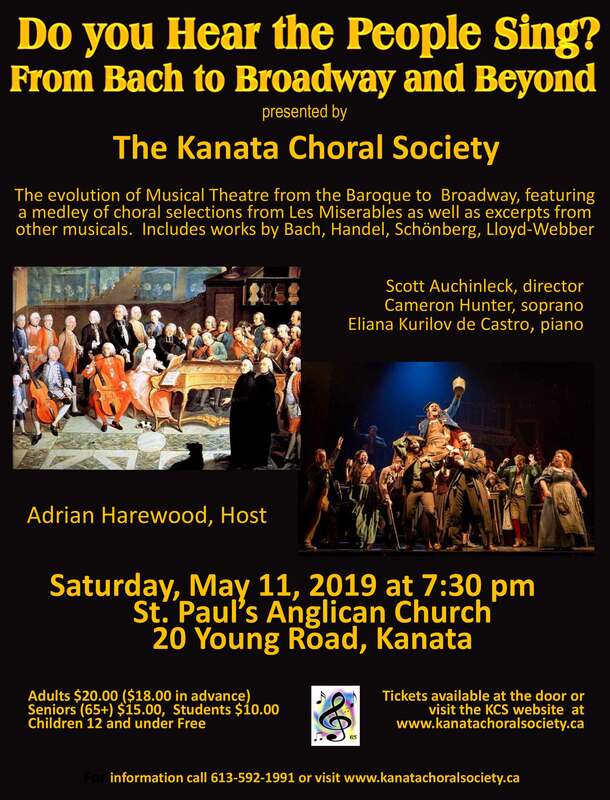 Tickets can be ordered from our brochure, which is available by clicking HERE to download in pdf format or by email at kanatachoralsociety@hotmail.com. Brochures will also be available in local libraries and councillors offices in late August. Season's tickets are available. To listen in your browser, left-click on "listen & download". To download the files, right-click on "listen & download" and select "Save Link As" from the drop-down menu. 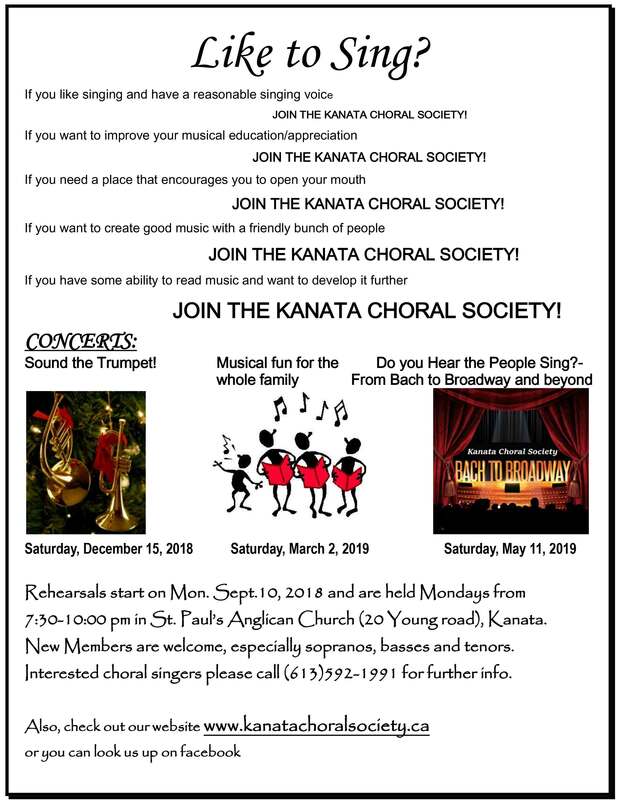 The Kanata Choral Society is a non-profit organization supported by dues, ticket sales, fund-raising activities and contributions. Most of their music is obtained from The Leading Note.